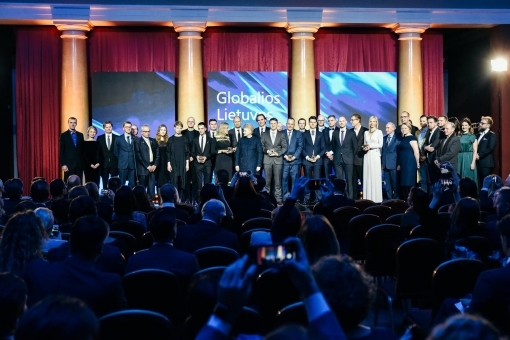 As it has become usual and longed for, the Lithuanians working, studying, traveling all over the world get together in Lithuania for Christmas and for Global Lithuanian Awards. GLL invites you to save the date of the ceremony on your calendar for pleasant meetings - December 27! By the end of October, we shall start active communication on the tickets, process of Laureate selection, and the outstanding stories of professional diaspora, so stay tuned. We Connect Lithuania participants are back to their routines of work and study, but the memories of six weeks of summer are still very vivid. We are excited to share the video summary from We Connect Lithuania 2018. The initiative is organized by GLL, powered by The Kazickas Family Foundation – Kazickų Šeimos Fondas and sponsored by Lietuvių Fondas – Lithuanian Foundation, Inc. Video by Silence media. 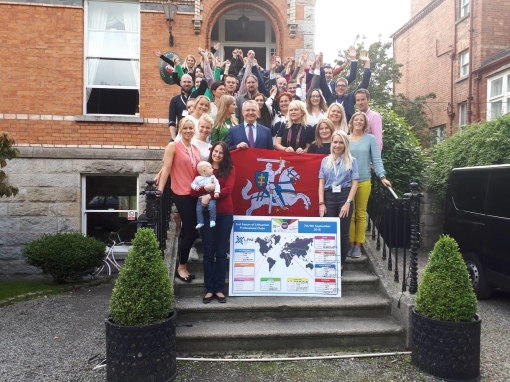 The weekend of September 7-9 will be remembered as the loud meet-up of the Clubs of Lithuanian Professionals Abroad in Dublin where people learn, work, and have fun with equal passion. As many as 40 participants from 8 clubs from Europe and the USA spent two days learning from each other and acknowledged experts, sharing troubles and joys, networking their tongues off and nights through. Sharing identity through professional experience is fun! Find out more – here. Photo album – here. 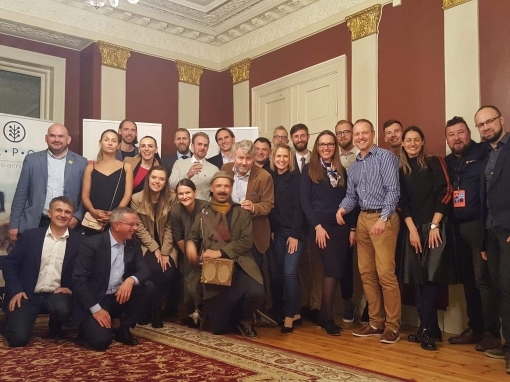 United energy of Lithuanian Professionals in Oslo and Commercial Attache Audrius Masiulionis brought to annual Oslo Innovation Week strong, creative and innovative team from Lithuania – Marius Jurgilas, Algirdas Stonys, and Jurgis Didžiulis just to name a few. They organised two workshops – on VR, AI and Gaming and on Crypto Currencies. In addition, Jurgis Didžiulis represented Lithuanian innovations in fun and engaging entertainment. 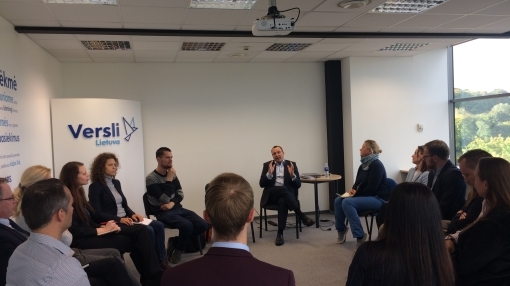 On September 4, GLL in cooperation with law firm TRINITI, organized LIETUVA³ discussion with Agnia Grigas, Vygaudas Ušackas, and Marius Laurinavičius on geopolitics of the world. They acknowledged that Donald Trump’s politics in US is a distorted representation of long-term feelings of Americans, noted that current alliances do not represent power distribution accordingly, thus raising possible rallies between China and Russia. As for Lithuana, it would help thinking locally – ensuring proper education, country’s representation, and society’s unification; while acting globally – making the best use of migration trends, and constantly moving forward. Photos of the event - here. Recording of the discussion - here. Is international talent attraction a part of your company's recruitment and brand strengthening strategy? 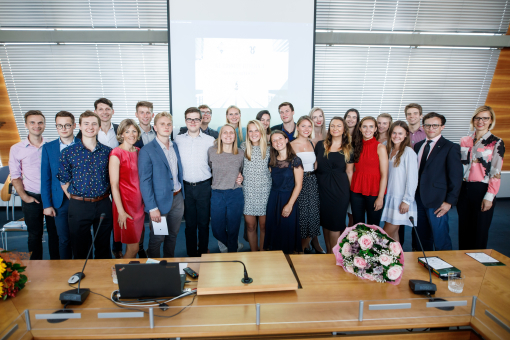 Talent for Lithuania programme has successfully helped many leading companies, organizations, and startups in Lithuania to attract 80 internationally experienced recent graduates and junior professionals. On October 16, the 7th season of the programme will be announced. Is your company eager to join the exciting process of talent attraction? Let's join our energy and resources - contact us. GLL together with Enterprise Lithuania continues the series of meetings with global Lithuanian experts while they are visiting Vilnius. This time selected group of companies met with Len Judes, GLL member, Litvak, joint venture partner of Stelios Americanos & Co, a lawyer and Honorary Ambassador of the Confederation of Lithuanian Industry to Israel and founder and chairman of the Israel-Lithuania Chamber of Commerce. He was happy to share the insights on Israel economy, tips for exporting to Israel and finding partners. 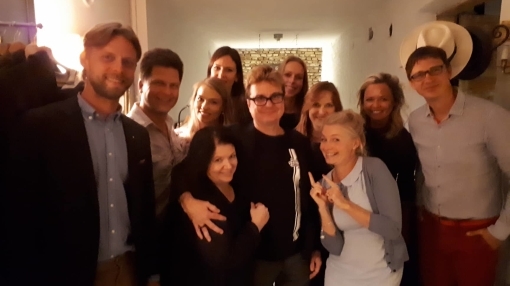 LABA.LA (Lithuanain American Business Association in Los Angeles) attract to their network exceptionally interesting and creative people. One of them - animator, comic author of Kaz Underworld, script writer for SpongeBob SquarePants Kaz Prapuolenis. Comic Con Baltics conference served as the best reason for the first visit to his parents homeland. He had one of his most exciting trips in life giving workshops at the conference, meeting and visiting animators community, mingling with returning Lithuanians, and just exploring Vilnius. 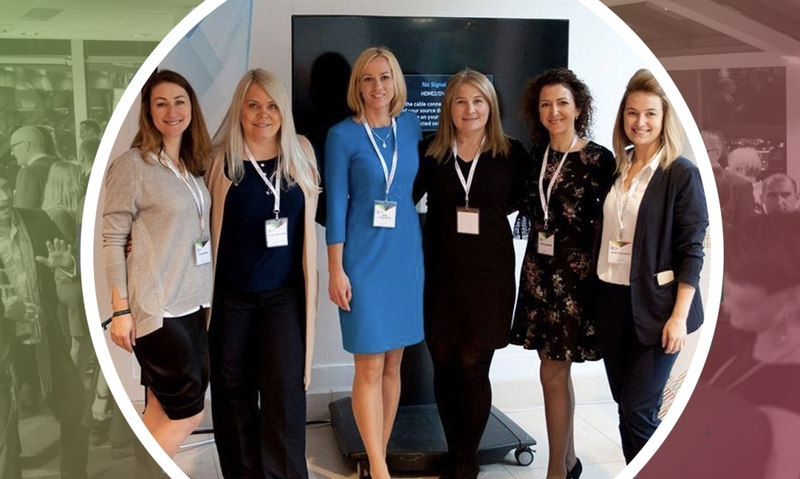 Excitement of life networking events sparkle constructive energy, that is how Irish professional ladies got into the project of the Second Professional Clubs Forum in Dublin. Half a year of intensive preparation paid back every effort when 8 clubs of Lithuanian professionals gathered for training, sharing ideas of cooperation with Lithuania, and loud networking of two nights. The leader of the gang Evelina Šaduikytė has arrived to Ireland 16 years ago and built outstanding career at SIPTU Migrant & International Workers Support Network (Irish Labour Union). Moreover, she has connected her organisation with their counterparts in Lithuania for knowledge and expertise exchange. Lilija Spiglazovaitė is treated at her job in Facebook as the representative of Lithuanian Tourism Department as she always talks how special and beautiful her country is and how much it can offer. To support that position, she has a Lithuanian flag hanging above the desk. This summer she organised the first Facebook event in Vilnius, and everyone was talking about it internally as Lithuania showed so much potential. She was more than happy to create bigger awareness that Lithuania exists and is doing great! GLL continues the routine of networking nights Back to Vilnius which bring together global professionals who come to Lithuania for good or just for a visit. Their stories compete by excitement, adventure and professional ambition. Monthly GLL networkings are meant to bring the stories to one amazing legend. Follow the details on FB event. This conference is practical, covering the fundamentals of what it takes to do business in Sweden. Learn about financing opportunites, get an overview of how to market your business, hear about the important accounting differences and find out how to approach personnel and cultural questions. Organised by two Stockholm-based Baltic organisations: the Estonian-Swedish Chamber of Commerce, the Lithuanian Professionals in Stockholm Club and the Swedish Chamber of Commerce in Latvia. Follow the event for more information! Seventh holiday season in a row, GLL in partnership with the Ministry of Foreign Affairs and under the patronage of the President of Lithuania will bring together outstanding global Lithuanians, public officials and local overachievers to celebrate the talent and ambition of Lithuanians around the world giving back to Lithuania with all their professional capacity and love at heart.